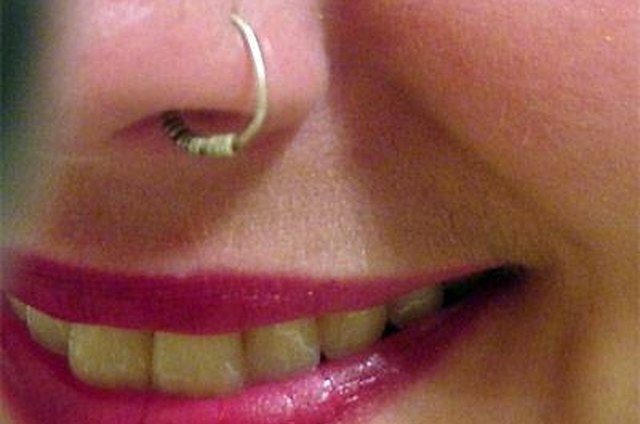 Nose piercings are a popular way of expressing your individual style. However, many styles of piercing jewelry are not obvious enough for some people. A nose ring captive ball is impossible to miss and a classic statement for your pierced nose. However, you need to be careful when inserting this jewelry for the first time to make sure that it stays in place securely. 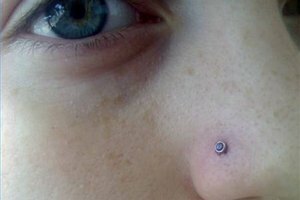 Practice snapping the captive ball in and out of the nose ring. This will help you determine what angle works best for you and make sure that the ball can be easily inserted, but that the ring will hold it in place. If the ball is difficult to fit into the gap, then you may need to use a pair of pliers to widen the gap slightly. Wash your hands. 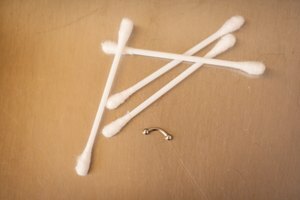 You should always use clean hands when you are inserting any jewelry into any piercing. Use soap and hot water, and make sure that you get all the soap off your hands and dry them thoroughly before continuing. 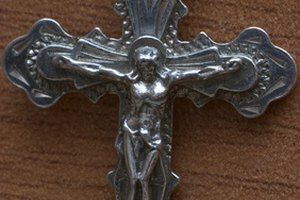 Douse the jewelry with rubbing alcohol. This will make sure that it is clean. Slide the ring into your piercing. You can simply slide the ring over your nose, then push it gently through your piercing. Turn it until the gap in the ring is facing away from your nose and easily accessible. Push the captive ball into the gap. Hold the ring steady with one hand while you snap the ball into the gap with the other. Be very gentle so that you do not irritate or even tear open your nose. Place your thumb on one side of the ball, and push with it while your fingers hold the ring in place from the other side. The ball should slide into the opening just as it did when you were practicing before you put the ring into your nose. If you feel that your ring is not holding the ball tightly enough, then use the pliers to squash the two ends together. Always be careful when using pliers near your face. You should never be hasty or you can end up scratching yourself or worse.